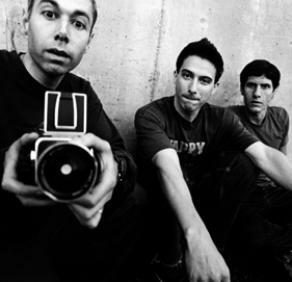 Beastie Boys join 2012 inductees into The Rock and Roll Hall of Fame. Hip Hop legends the Beastie Boys join an eclectic group of rock and roll legends making up today’s announcement of the 2012 class of inductees for the Rock and Roll Hall of Fame. Joining the Beastie Boys in the performer category are British folk artist Donovan, L.A. rockers Guns N’ Roses, singer and songwriter Laura Nyro, California punks Red Hot Chili Peppers, and the British band The Small Faces, also known as the Faces. Other inductees include legendary blues guitarist Freddie King, songwriter and producer Don Kirshner, engineer and producer Glyn Johns, longtime Atlantic Records engineer Tom Dowd, and R&B engineer Cosimo Matassa. The 27th annual Rock and Roll Hall of Fame Induction Ceremony will take place Saturday April 14, 2012 in Cleveland with HBO broadcasting the induction ceremony. The 2012 Rock and Roll Hall of Fame Induction Ceremony will also cap off a series of special events in Cleveland including the opening of the Rock and Roll Hall of Fame’s new library and archives; a redesigned museum interior as well as the Rock My Soul gospel tribute. According to The Los Angeles Times, Maryland-based Discovery Communications is pledging to reverse a previous decision to cut its controversial, final episode in its upcoming Frozen Planet documentary series, and air the show titled On Thin Ice, about the impact of shrinking glaciers and rising temperatures on the people and the wildlife of the North and South poles as well as the entire planet. Discovery Channel’s decision follows a petition from Claudia Abbott-Barish and its 75K signatures asking the cable channel to air the final episode about climate change from Fozen Planet, currently attracting huge viewership on the BBC in England. Frozen Planet premieres March 18, 2012 on Discovery Channel. The last piece of the 2012 Sundance Film Festival programming puzzle is in place via its announcement of the 64 short films chosen from 7,675 submissions. Granted, the festival’s shorts often get lost in the media whirlwind generated by premieres boasting celebrity casts and the competition titles in search of acquisition deals. Still, it’s exciting to watch new careers spring from the Sundance shorts. This year’s shorts titles include L Train from director and screenwriter Annie Musso; the animated short Song of the Spindle by director and screenwriter Drew Christie and non-fiction shorts Pluto Declaration by Travis Wilkerson and Maria White’s The Debutante Hunters, about Southern belles in South Carolina’s low country. The 2012 Sundance Film Festivalruns January 19 through 29 in Park City, Salt Lake City and Ogden, Utah.